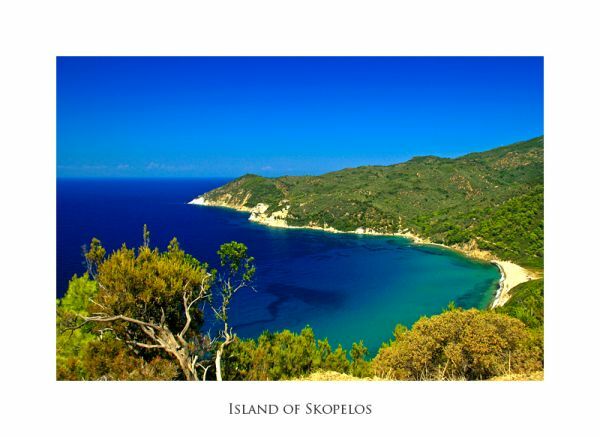 A marvelous island full of green, surrounded by unbelievably transparent turquoise waters. 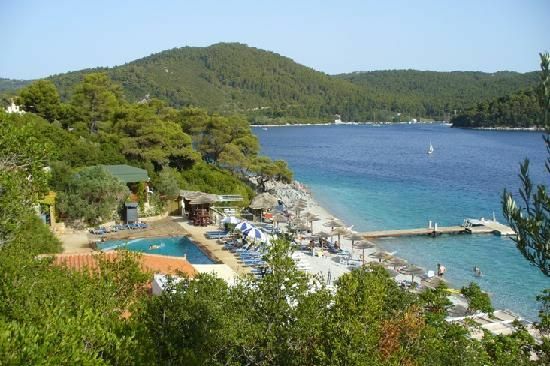 It is larger than the nearby Skiathos but has less tourism and therefore less related infrastructure. 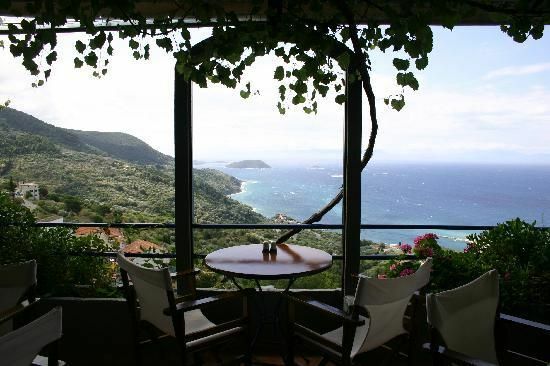 However it has everything a visitor will need. 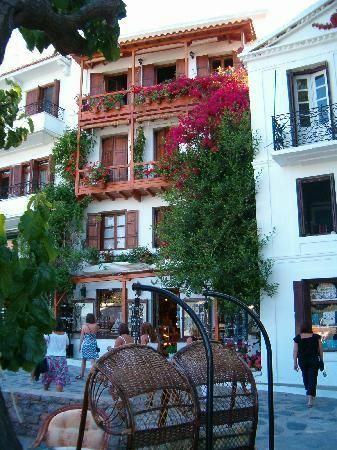 Skopelos town (and main port) is full of cosy cafes, tavernas, restaurants, bars and a has a descent beach with nice beach bars. 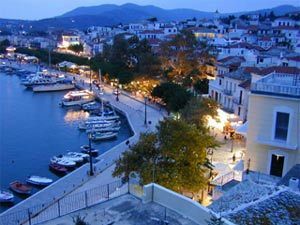 However night life is calmer than Skiathos'. 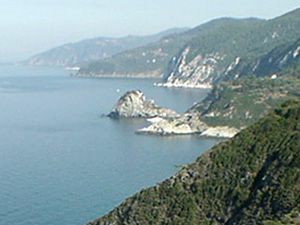 It is the island where most of the "Mama Mia" movie has been shot and since its launch it has become more popular. 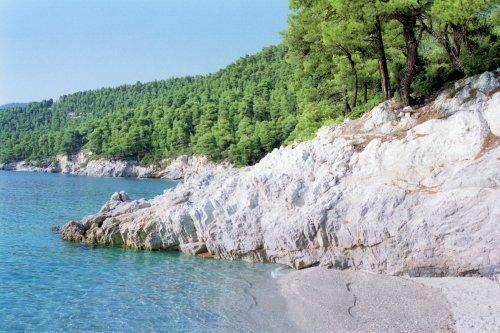 Its western coast is covered by a pine forest and surrounded by tiny and larger beaches with small white peebles where the pine trees come all along down in their magic turquoise transparent waters. 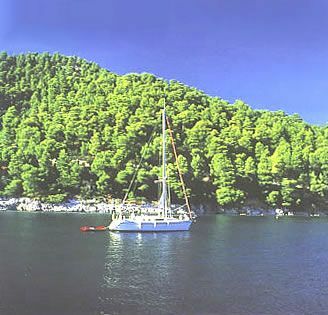 Visiting the isolated ones with a boat is an unforgettable experience. 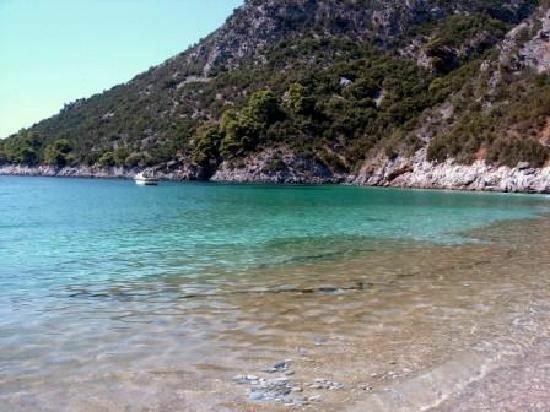 Even in high season you will easily discover your private paradise little beach!!! 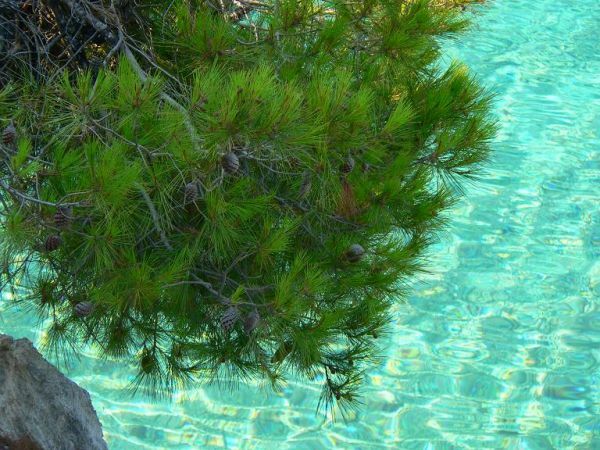 Furthermore it has unique landscapes full of pine forests, such as "BLO" or "MPLO" that reminds you of a lovely green lake in an endless pine forest! 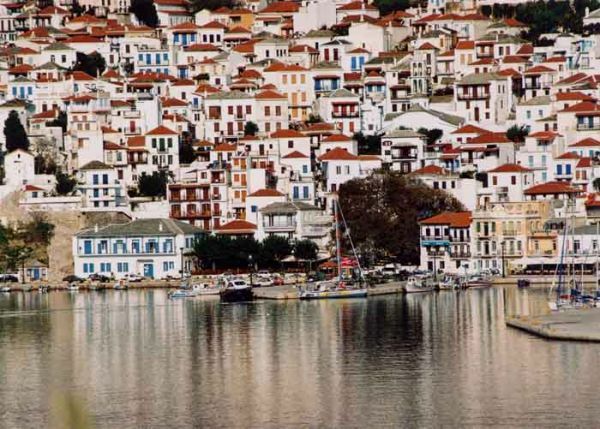 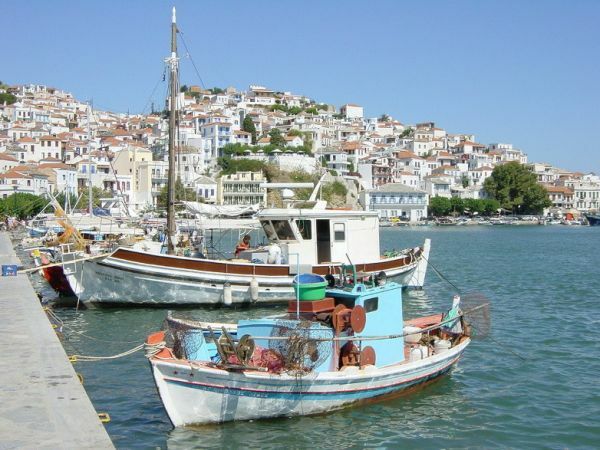 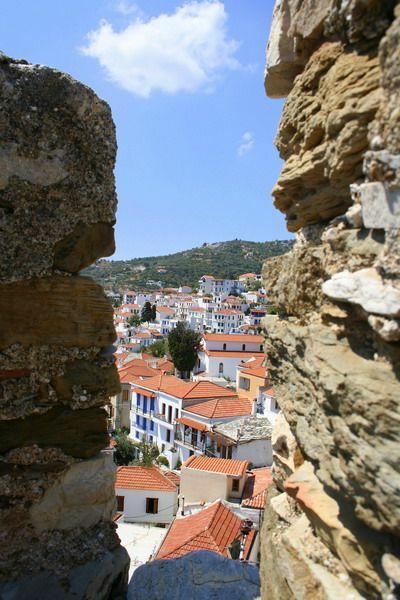 Skopelos town and "Glossa" (the only village of the island) are still quite traditional and picturesque. 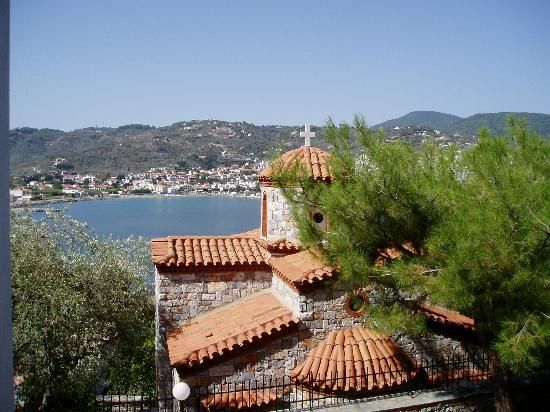 You will also find picturesque churches (such as the stunning Saint John) and monasteries. 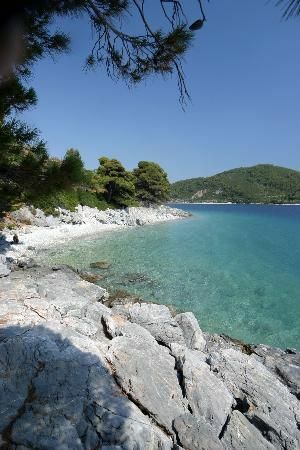 - Skopelos has three ports (Town, Loutraki-Glossa and Agnontas), and therefore offers mooring options for any weather conditions. 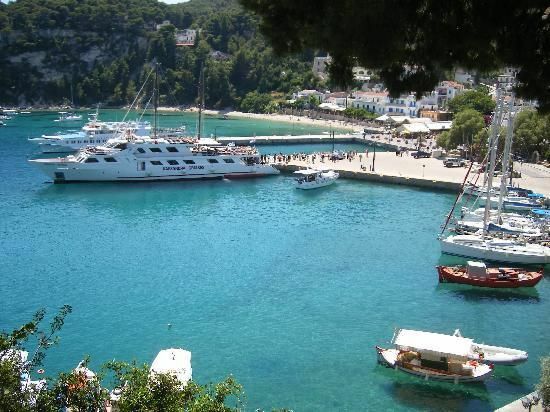 The main port has many places and facilities and finding a place is not a problem. 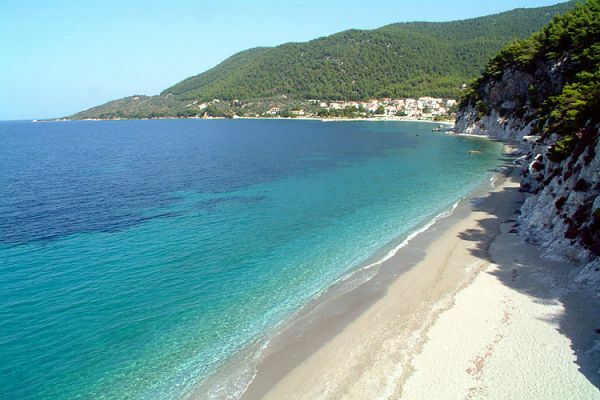 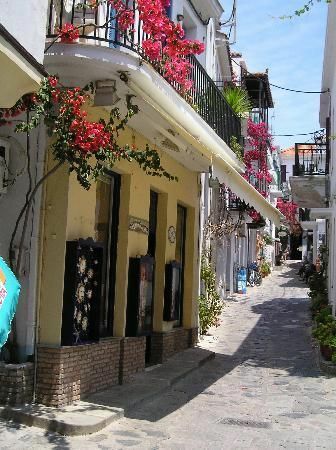 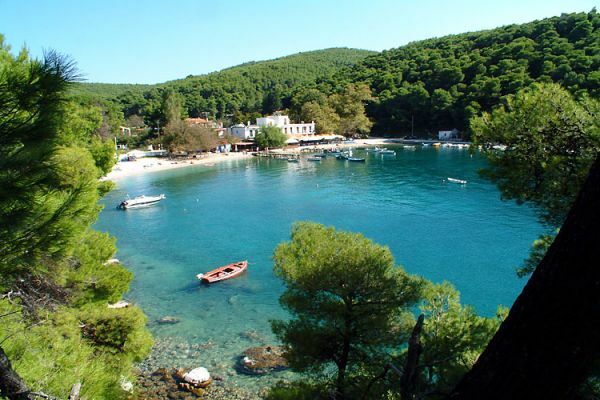 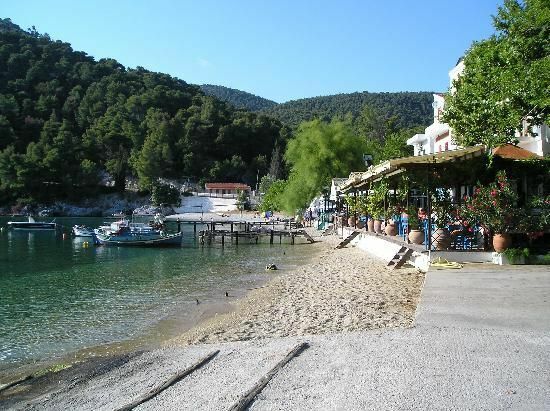 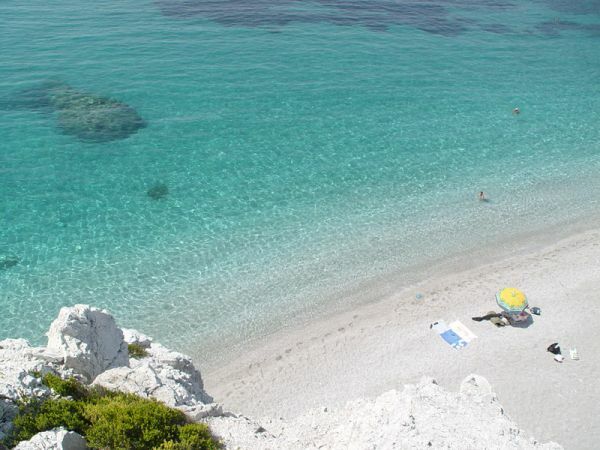 Moreover is located in Skopelos capital (Town or "Hora" in Greek) and all shops, restaurants etc are near by. 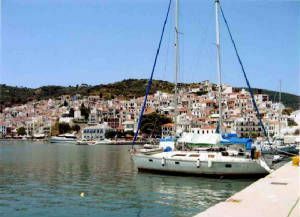 - It has one of the most beautiful natural ports of the world, (Blo) which is a great anchorage, since it is perfectly protected from almost all weathers. 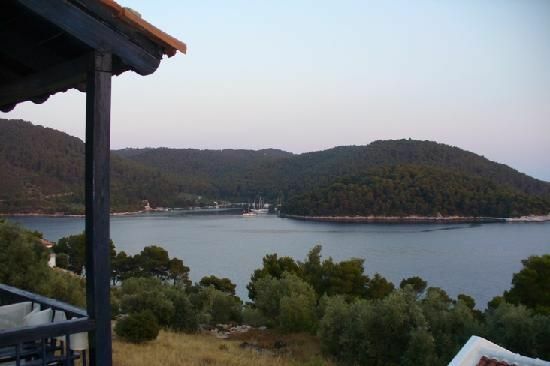 It also has a few more protected and picturesque coves that may be use as anchorages. 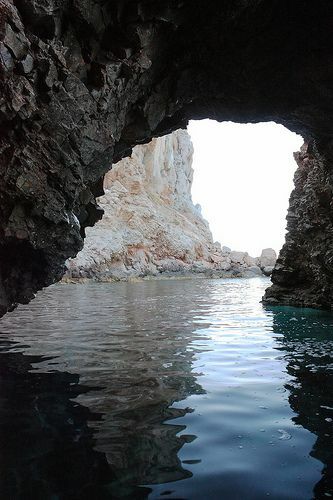 All of them have transparent turquoise or emerald green waters. 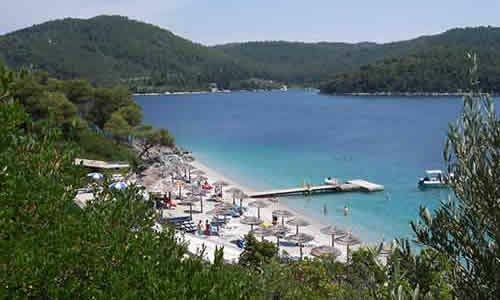 - Its magnificent west coast is full of marvelous beaches and coves of all sizes which have the most wonderful turquoise and emerald transparent waters. 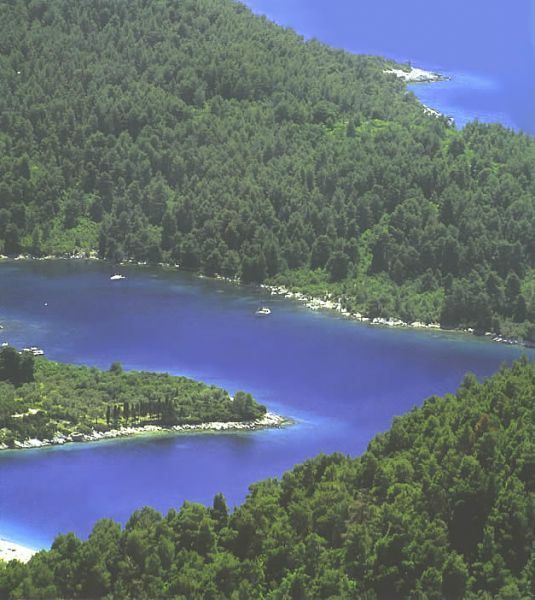 Some of them (mostly the tiny ones) are only accessible by boat since they are found at the end of a vast pine forest. 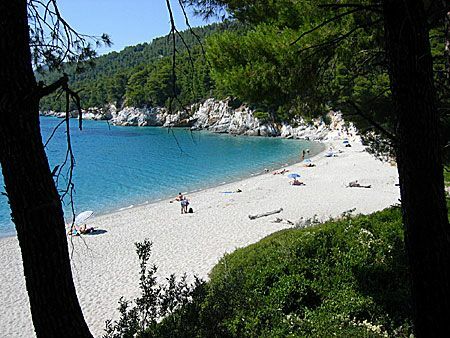 Therefore you may find your paradise private beach even in the high season. 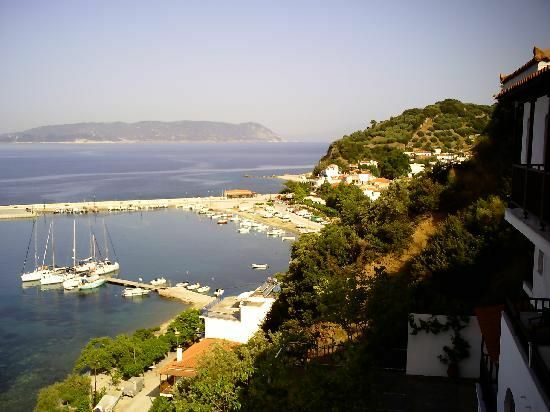 Furthermore, they are all very close to Agnontas and Glossa ports and "Blo" Anchorage and can be accessible even with a reliable tender. 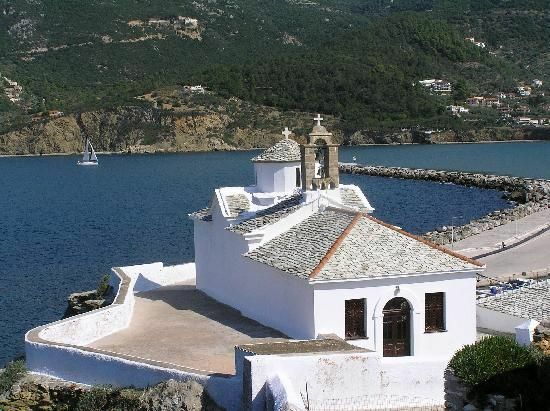 - Skopelos is located between and very close to Skiathos and Alonissos and still not far from the rest uninhabited Sporades islands (Kyra Panagia, Peristera etc). 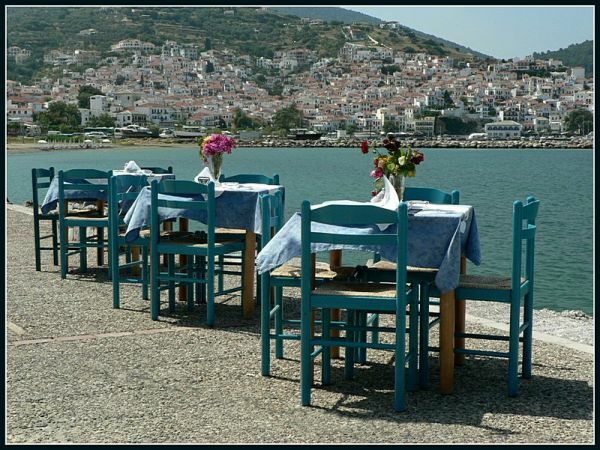 Therefore it offers options for many unforgettable tours. 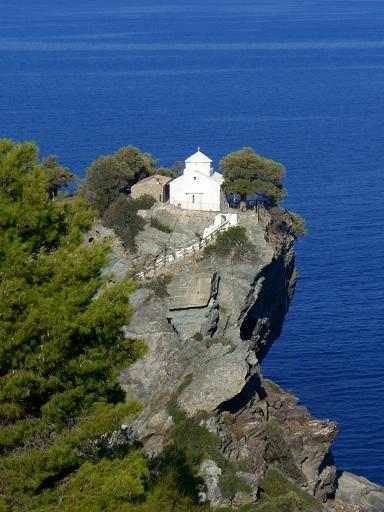 As much as we tried we could not find a "con" for Skopelos as a yachting or tourist destination. 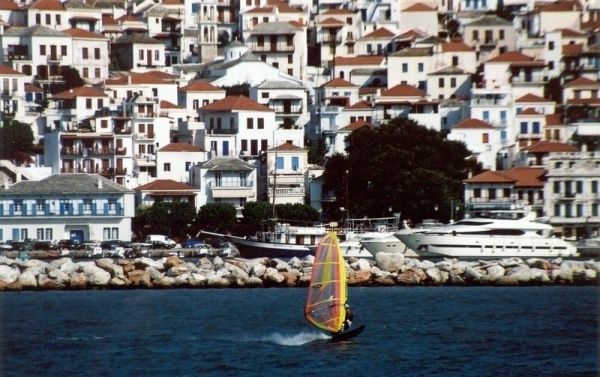 Some may spot the lack of an organized marina, a common thing for small Greek islands. 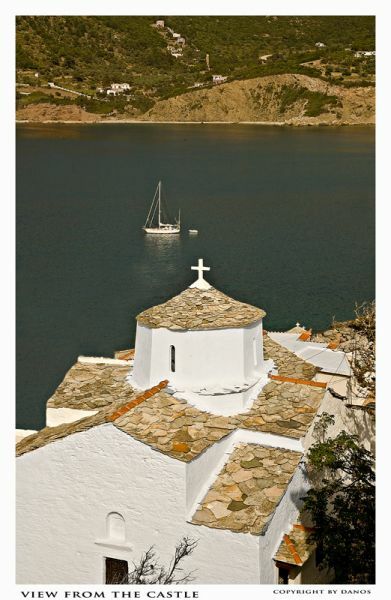 However it has three ports (one for almost most weather conditions) and especially the main one is quite big and offers descent facilities (..and almost for free). 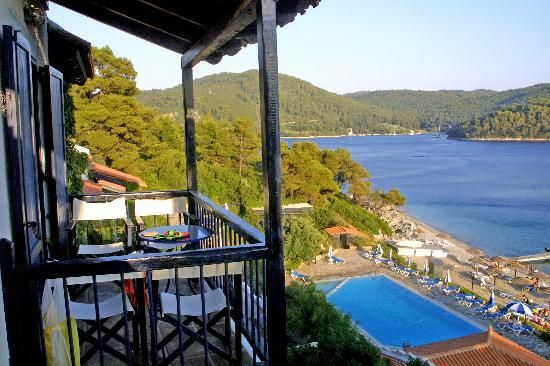 As far as the rest, it is a matter of taste. 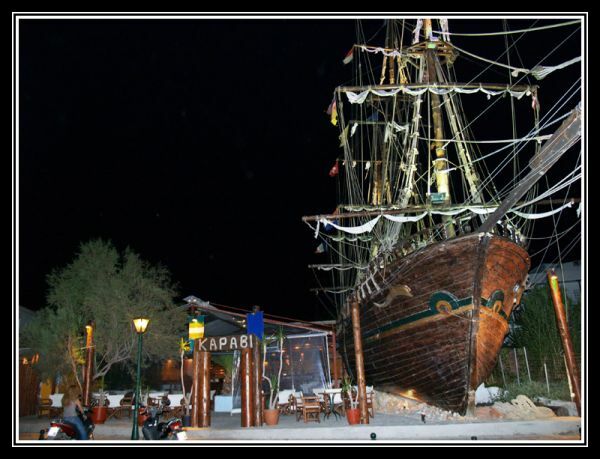 Some may want a wilder night life or developed facilities. 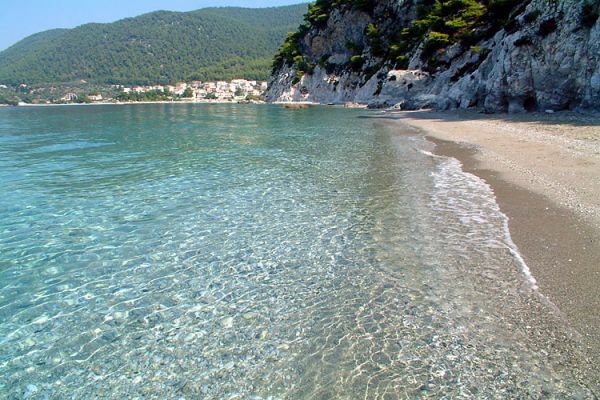 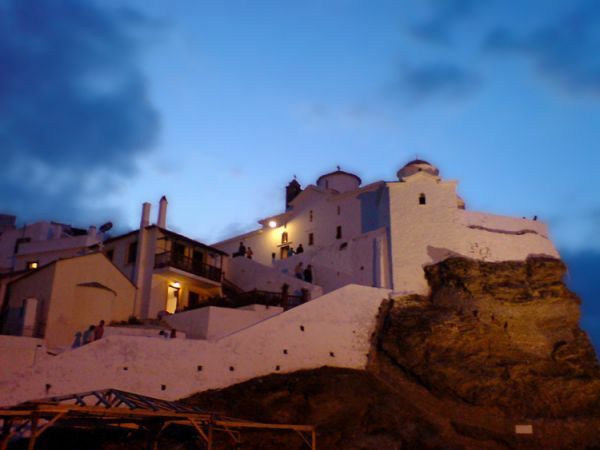 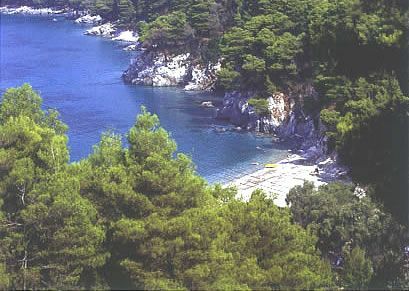 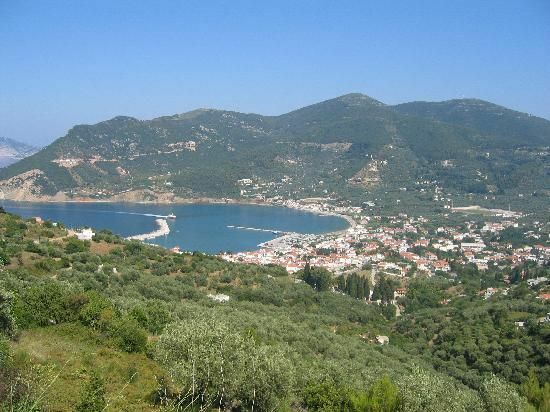 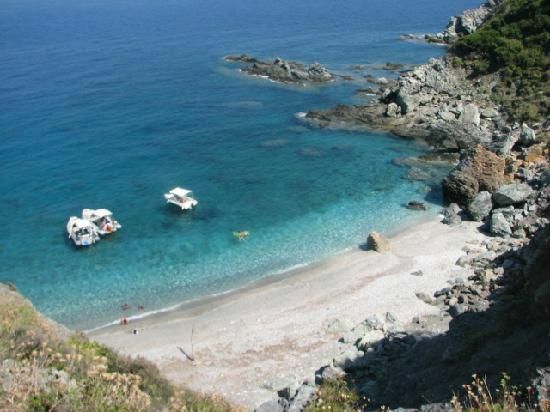 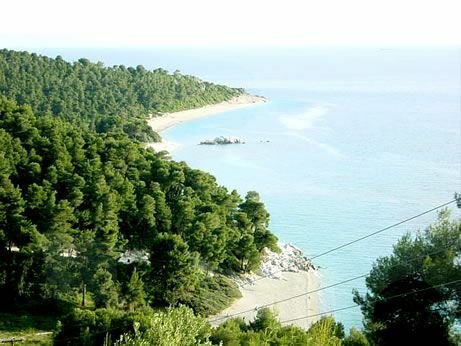 However Skopelos charm derives from its unspoiled beauty which is combined with a satisfactory infrastructure.